Some of the funnest and funniest chips you'll ever hand out! The NEW Pink Cloud Chip makes everyone smile! Your new life really IS that fantastic! You are NOT out of touch with reality! They say you're on a pink cloud? So be it! Ride it as long as possible! We'll be there to catch you! We offer The Pink Cloud chip to anyone who is, or is striving to be Happy, Joyous, and Free! Carry one with you and hand them to the happiest folks you know! 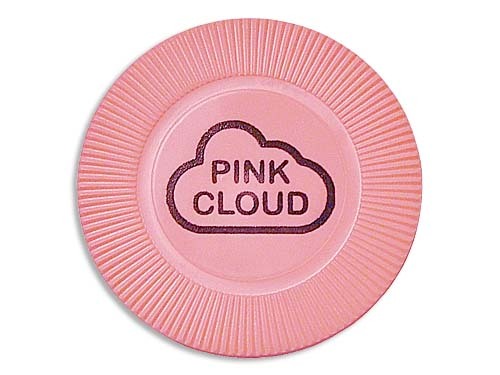 Description: The Pink Cloud Chip with printing on one side. The second time I have ordered these pink cloud chips because I love bringing a smile to my friend's faces. I always tell them no matter how their day is going, they can always have a pink cloud. I will order again. Q: What does pink cloud represent? A: Hi Traci! Thanks so much for your question! Often, the "Pink Cloud" is used to describe that period of early sobriety when a heightened sense of well being and happiness, an emotional high, is encountered. After all, there is much to be happy about! The fighting has ceased, the nightmare is over. This "pink cloud" period is undoubtedly enjoyable, but it can also be a very dangerous time in a person's recovery. Q: What is on the other side?